Sort, stack, build and create with these brightly coloured and versatile tiles that will spark your child’s imagination and help develop their shape recognition, problem solving and thinking skills! Provides opportunities for experimentation – geometry, perspective, balance, cause and effect, and more! Perfect gift for children – will hold their attention for hours! Let your child’s imagination run free as they learn through play with this colourful 120 Piece Magnetic Tile Set. 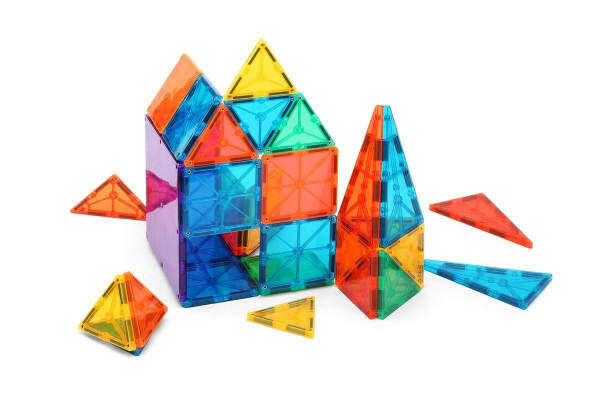 With this colourful set of magnetic construction tiles, your child will be able to enjoy hands-on development with hours of fun and experimentation as they create cubes, pyramids, and other geometric shapes in 3D – their imagination is the limit! 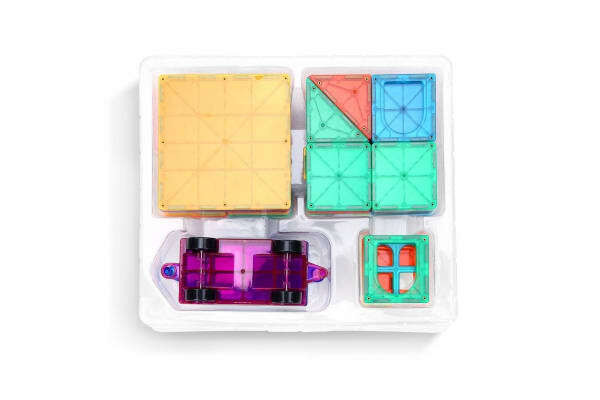 Thanks to the magnetic design of these tiles, your child will be able to experiment with gravity and magnetic forces, as they build their shape and colour recognition, and develop their problem solving and fine-motor skills. 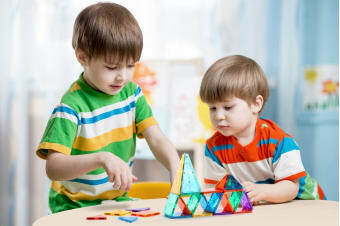 For added convenience, these tiles are great for collaborative play, teaching your child to share and create without either child running out of tiles – so you can sit back and relax as your child learns to socialise through learning! Unlike traditional play blocks that tend to go everywhere and create a seemingly never-ending mess, these versatile tiles are engineered with magnetic strips and boast a slim design, so you can simply click apart and flat pack when playtime is over or snap together for easy assembly! Warning: small parts may cause choking hazard. Always supervise children during use.